Last weekend was a bit more colorful than usual.. I spent a little time outside the Sakura-Con, an annual convention for lovers of Japanese anime, manga, gaming and related pop-culture. I missed my chance for tickets inside the event, as I was a bit overly busy for much of the greater portions of the event. But outside, I had some hours to spare. Much of the time was conversing with old friends, making new ones. We discussed emphasis on the anime and gaming pop-culture of decades past (the newer generation was more present). It was all fun, to see old characters brought to fly, thanks to the cosplaying element of the gathering. I took some pictures, of which only some shared below. If you would like more than,please check out my expanded gallery and writings on “geek” culture at strangerworlds.com. 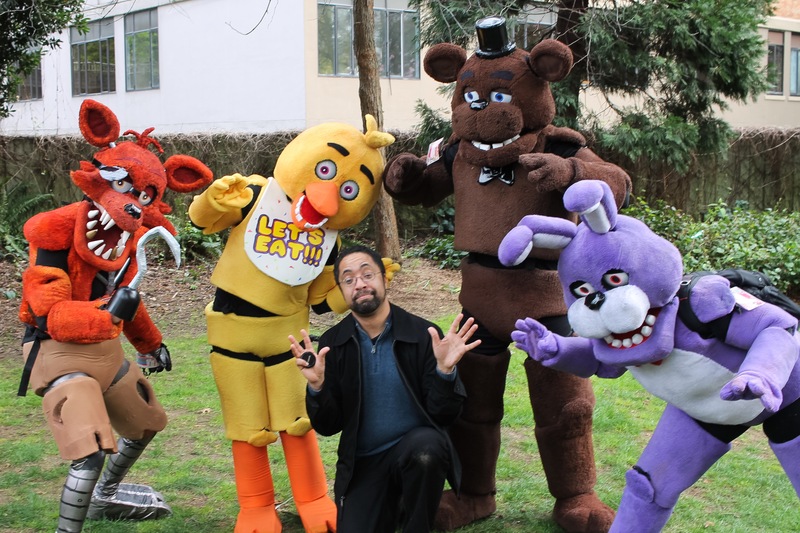 Here, are some chosen pics of mine for here (click on each for more into)..
Oh wait.., here’s me caught with the creepy mascots of the Five Nights at Freddys video game series! 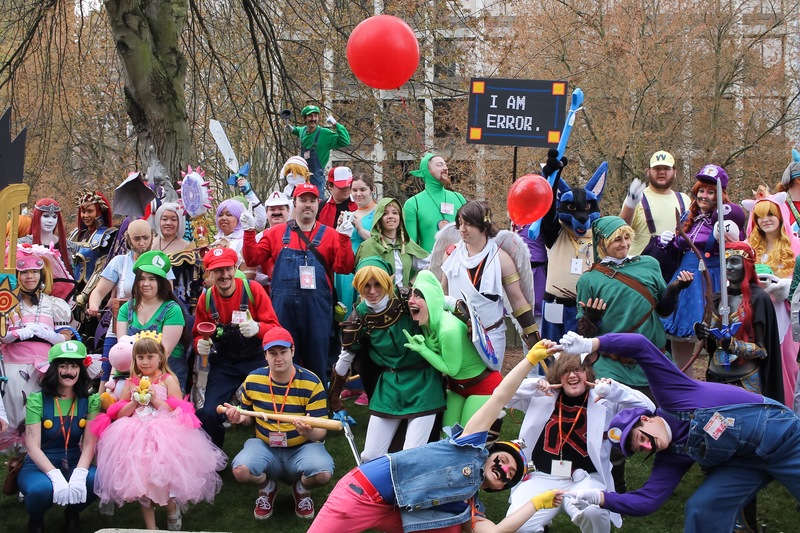 Posted on March 29, 2016 by Orion T.	This entry was posted in Conventions, People, Photography and tagged anime, cosplay, costumes, entertainment, gathering, manga, Photography, Seattle, travel. Bookmark the permalink.